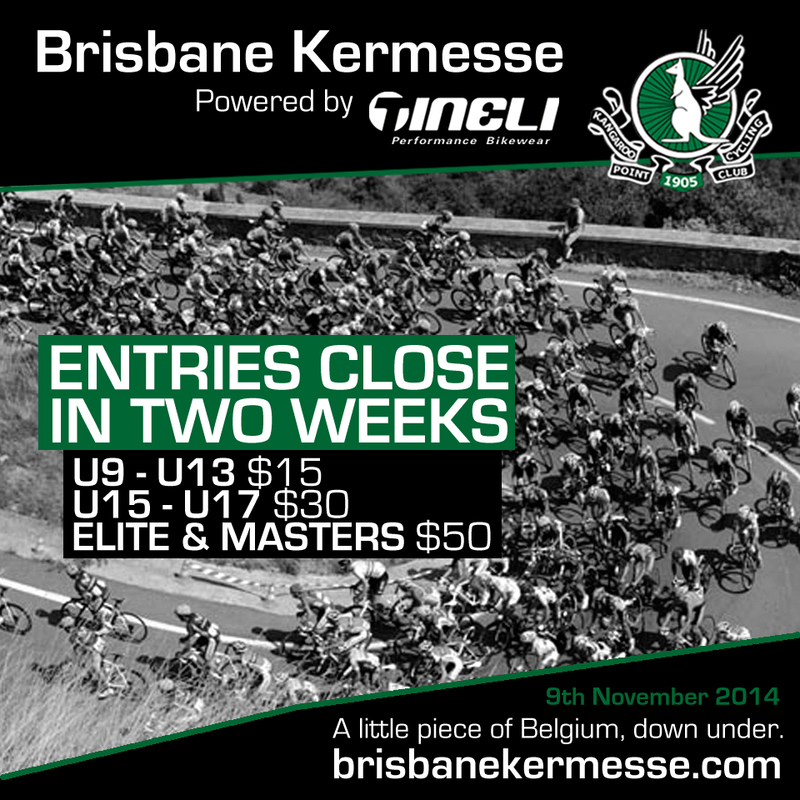 The Brisbane Kermesse powered by Tineli is just 4 weeks away. Online entry closes on Sunday 26 October for Junior, Master, Elite & Women's races. Join us on Sunday 09 November for a little piece of Belgium, down under. This never before raced spectator friendly 3.5km circuit just minutes from the city at TradeCoast Central Eagle Farm features long straights, wide roads and perfect hot mix bitumen. Don't be fooled- this race is no walk in the park! We've arranged three hairpins, two 6% power climbs, tight technical turns, a finish line immediately following a hairpin bend and primes in each grade to guarantee fast, exciting and rewarding racing! > More information on this iconic event can be found on the official Brisbane Kermesse powered by Tineli website. > Follow the Brisbane Kermesse powered by Tineli on Facebook for the inside line on racing, tactics, tips and advice from our Race Ambassadors. > Online entries are now available through Cycling Queensland.